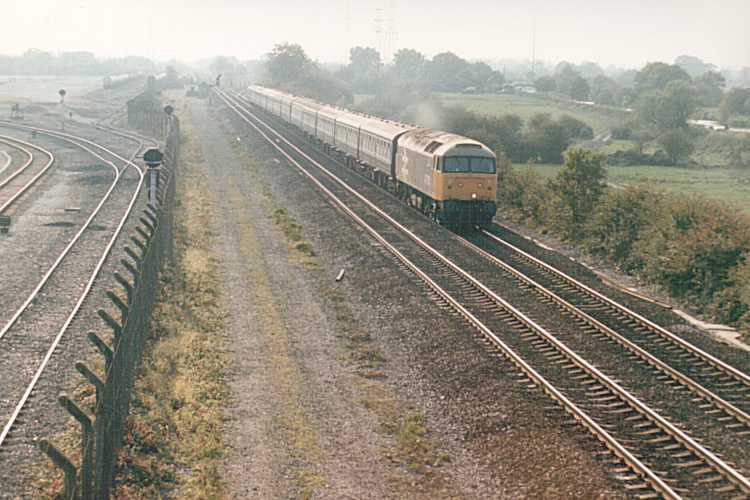 47551 passes Willington Power Station with a Poole - Newcastle service on 4th October 1986. 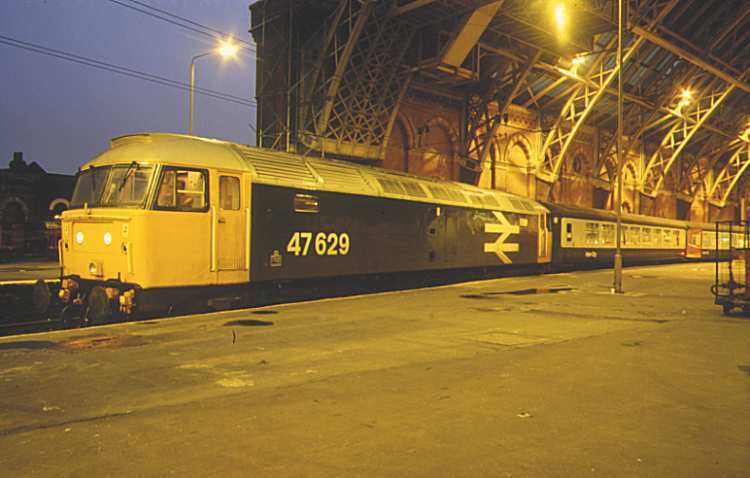 This locomotive was renumbered to 47801 and is currently in service as 47774. The power station is now closed and the tracks on the left of this view are no more. 47617 'University of Stirling' waits for time at Dundee with the 07:30 Aberdeen - Carstairs, 1C87 (where the vehicles will be attached to a Glasgow - Penzance service) of 26th March 1986. 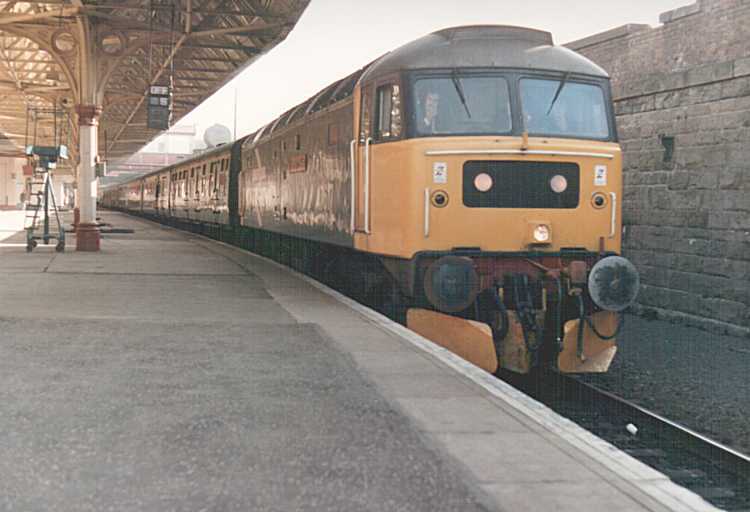 Just for nostalgic purposes your scribe did 47464 Edinburgh - Inverness the previous night for 47053 on the 05:02 Inverness - Aberdeen to make 617. At Dundee the 09:30 Edinburgh was 47210. After 210 to Edinburgh the rest of the day was spent on 27004. 47629 at London St. Pancras with the 16:35 for Nottingham (1D54) of 9th December 1985. 629 went on to become 47828.